"Support from service department Ruth excellent. " Read our customers' honest and impartial Vauxhall Astra car reviews and ratings to easily find your next car at Motorparks. Smashing little car! Easily seats 5, decent-sized boot, superb headlights Intellilux, very flexible engine and extremely quick when you want it to be, nice handling, smooth ride, no wind noise and little road noise except on rough surfaces. OnStar, wi-fi, etc very useful. As good as a Golf GTi but much cheaper. Very comfortable seats. The auto lights and parking sensors are useful. It drives well. The auto gearbox is smooth. Very pleased with this Astra Elite. Low road tax too. The Astra is a very nice car indeed. Good performance and economical so far. Good sized boot and rear seat space and very well equipped too. After 14 years with the previous car, thought it was time for a change. Knowing several friends/relations who liked Vauxhalls, thought I'd go for an Astra. Although I knew the car's interior would be more compact than I was used to, I am very glad I made the decision to purchase the Astra 1.6i Auto Elite. Three year old model in excellent condition - I must say I am impressed as to how smooth the ride is. The boot has 30% less room than my old Avensis, but still offers quite a lot of space for up to 2/3 driver and passenger's luggage. After approx 1600 miles I am enjoying driving the Astra. Road holding good even in the recent icy conditions, heated seat a boon with the cold mornings, and demists quite quickly. Sounds noisy from the outside, but quiet when inside. Only real negatives are fuel consumption; nothing near the manufacturers' claims, and inflation kit instead of spare wheel. Although 90 percent decided on car before test drive/inspection; car has everything I was looking for. I considered the price I paid was a fair one for a low mileage Astra Elite. 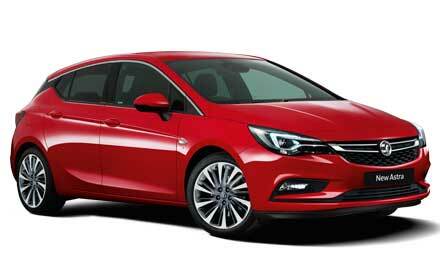 New Astra 1.4 - excellent drive. Seats comfortable. Plenty of leg room in the back. Boot excellent for shopping. Sensors very helpful back and front. I absolutely love this car! From the moment I saw it, driving it. The comfort and easy access gadgets and gizmos. The only disappointment is that it does not have Bluetooth but I believe that is an extra if you want it. Good to drive, especially in speed. Not as comfortable as the previous Astra in terms of overall journey. Great visibility over the old model... Old Astra felt more solid... but new model is more satisfying in every aspect. It's missing a few bits - folding wing mirrors, parking sensors, no ash tray - for a car of this calibre I think these should be standard. Other than that, I am very pleased with the car. Thanks. Having only driven the car for 10 days, I am still getting used to its handling but generally I am very pleased with it. I have just one minor criticism in that the view out of both passenger windows is somewhat restricted for the driver looking over his shoulder. Always wanted the Astra estate, and this drives as I always thought it would. This is the 3rd new car from you, and by far the most satisfying to drive, although there was nothing wrong with the others. Very happy with the service given, thank you. Astra Diesel Elite. The car is perfect for me, drives like a dream and great on fuel. Comfortable, reliable. First time using automatic. Never going back. Love it. Nice car, fast. Would be nicer with heated seats and steering wheel as I had them in my 16 plate Corsa. Nice and roomy. Petrol goes down a lot when driving on the motorway.